On behalf of the children, staff and governors, I am delighted to welcome you to our school website. We hope that our website will give you an idea of what makes St Patrick’s School in Holywood the special, spiritual and enriching environment that we are all proud to be part of. 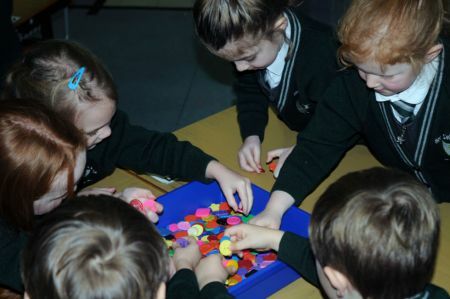 At St Patrick’s we pride ourselves on working together to create a community based on strong relationships and with this in mind we ensure that all children are welcomed and nurtured within a partnership of support between school, home and parish. We know that children learn best when they feel happy, secure and well cared for, therefore our first priority is the provision of strong pastoral care in a nurturing environment. We aim to develop in our children a passion and love of learning by providing an enriched, broad and balanced curriculum; that delivers a high quality, inclusive education for all, so that each may reach their full potential. We believe that all children are life time learners and this is reflected in our school motto ‘Living and Learning; Today and Tomorrow. We hope you enjoy browsing this website. You'll learn a little about us and we look forward to getting to know you someday too. Should you wish to visit our school, please feel welcome to make contact to join us on our annual Open Morning or make an appointment to call and see us.